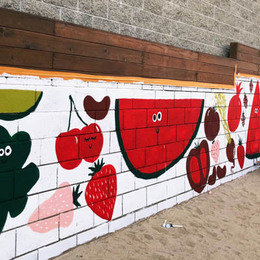 Los Angeles-based artist Hakakian is now known for her colorful street murals but she wasn’t always a professional artist known for her works at the PaliHotel on Melrose and at Art Basel in Miami’s Wynwood Arts District, among others. 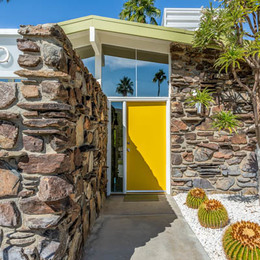 Hakakian graduated from the University of California, San Diego with a bachelor's degree in neuroscience and worked for ten years at Cedars Sinai before leaving her job to pursue a career in art. 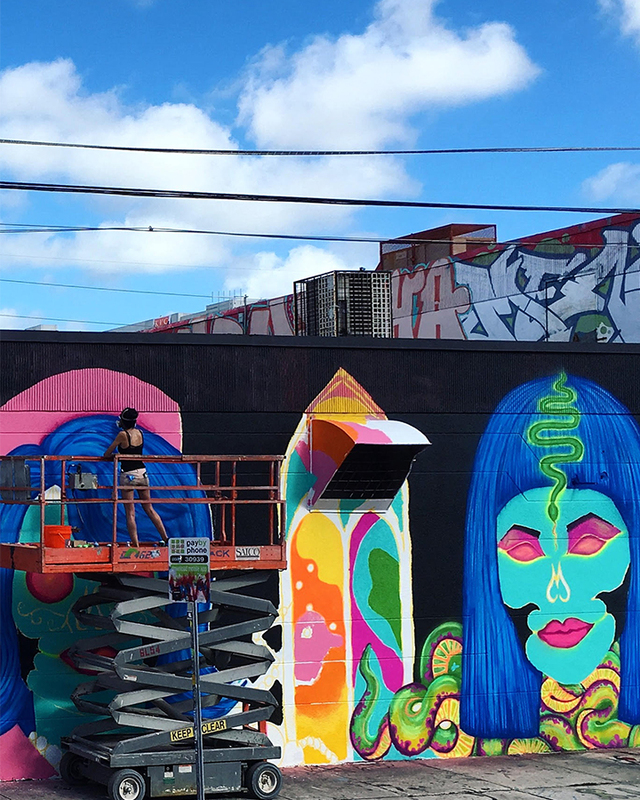 She credits her medical background with instilling the discipline and work ethic needed to succeed in a competitive field like street art. Science influences her actual artwork as well. “I also studied a lot of anatomy, which tends to show up in my artwork frequently,” says Hakakian. 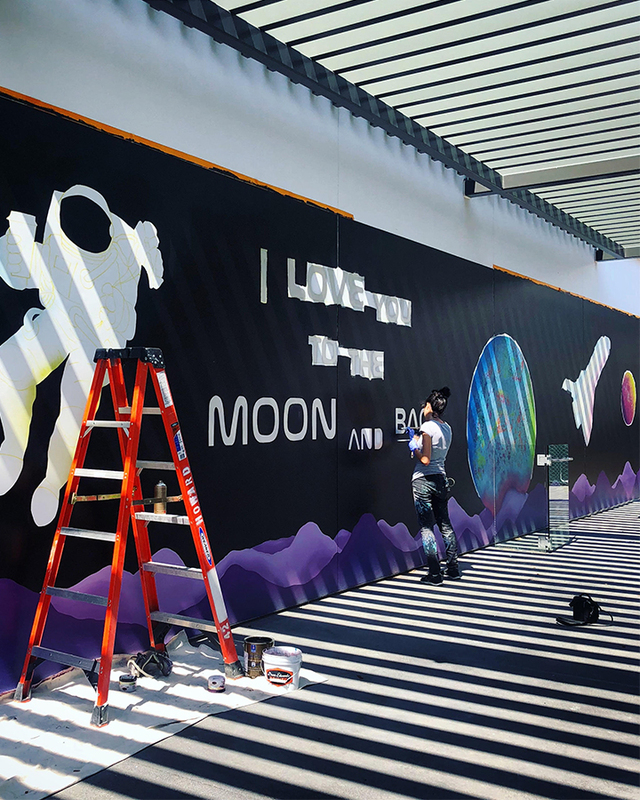 See how Hakakian uses Dunn-Edwards Paints to create her large-scale works like those pictured below. within the shopping center called Apollo Landing. 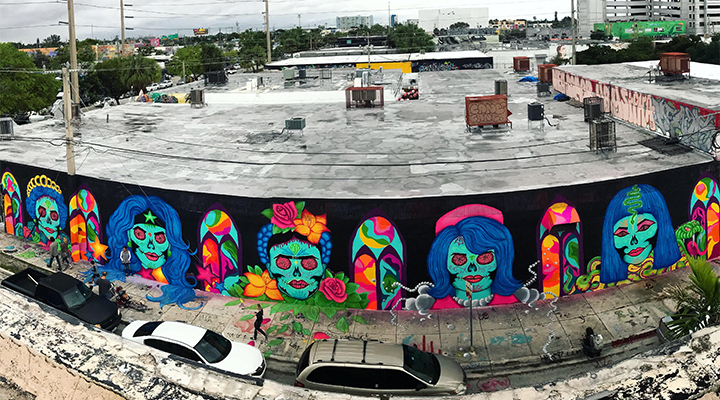 Painted during the Art Basel 2017 festivities, Hakakian chose to pay tribute to five powerful and iconic women whom she admires: Frida Kahlo, Cleopatra, Wonder Woman, Queen Elizabeth and Jackie Kennedy. The women are immortalized in the Day of the Dead altar. “As a woman working in a male-dominated field, I constantly find myself looking for inspiration in other powerful women,” she says. 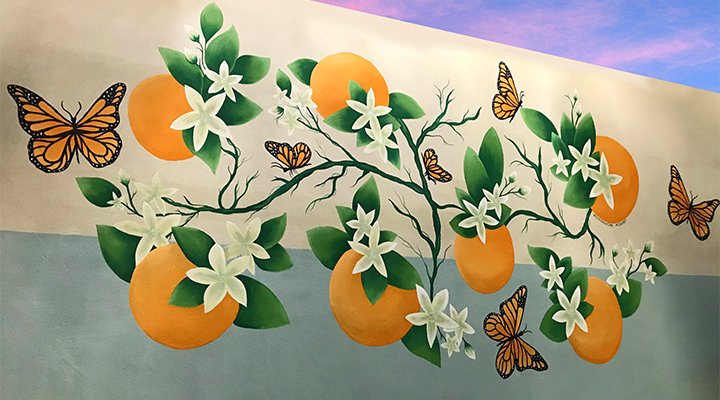 Hakakian chose an orange theme for her work here because Fullerton is known for its citrus, and she really wanted the mural to have strong ties to the community. Location: SoulPlay Yoga Studio in Culver City, CA. 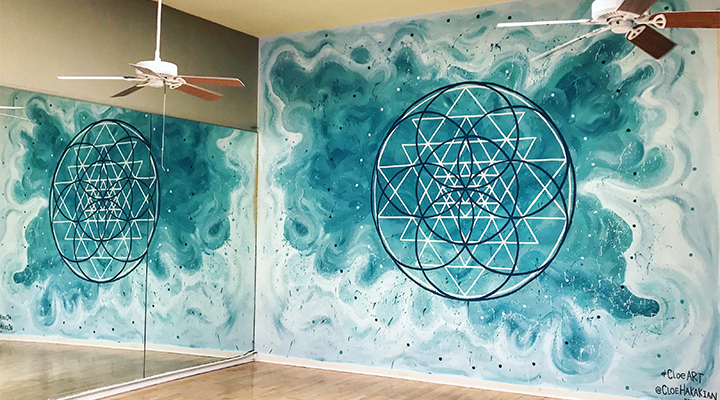 Since it was designed for a yoga studio, the mural combines a calming, dreamscape background with sacred geometry. Hakakian says this gives the yogis in class something to focus on, while still providing a sense of serenity. 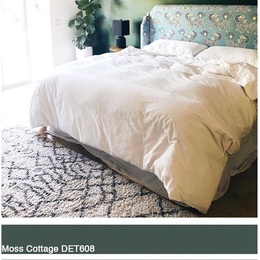 Location: Palihotel on Melrose, Los Angeles CA. Hakakian modeled the mural’s theme after a restaurant in the hotel called The Hart and the Hunter. 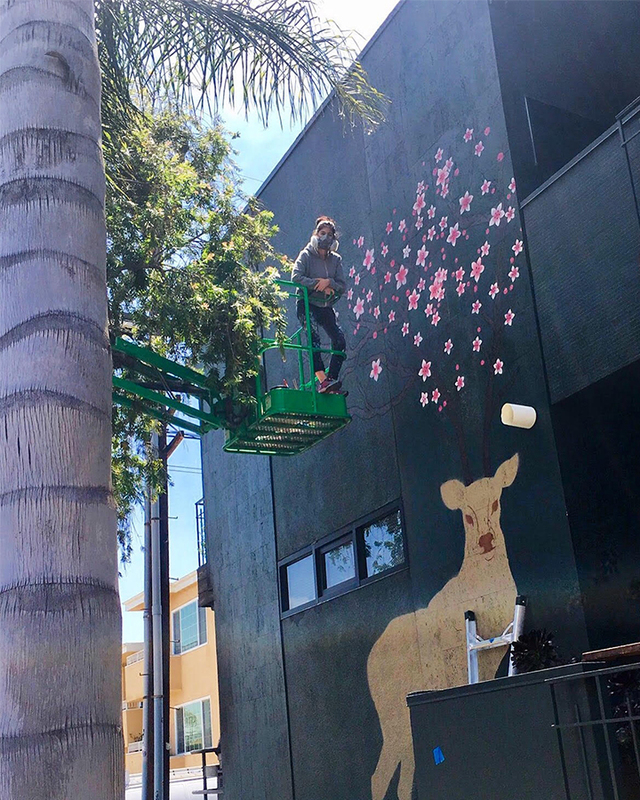 “I thought it would be cute to incorporate the fabled deer.” The cherry blossoms in the deer’s antlers are tribute to her late grandfather, who she says loved the flower. Cherry blossoms also represent the fragility and beauty of life in Japanese culture. 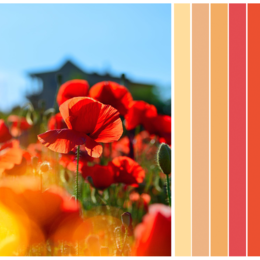 “They are a reminder that life is almost overwhelmingly beautiful but also tragically short,” she says. 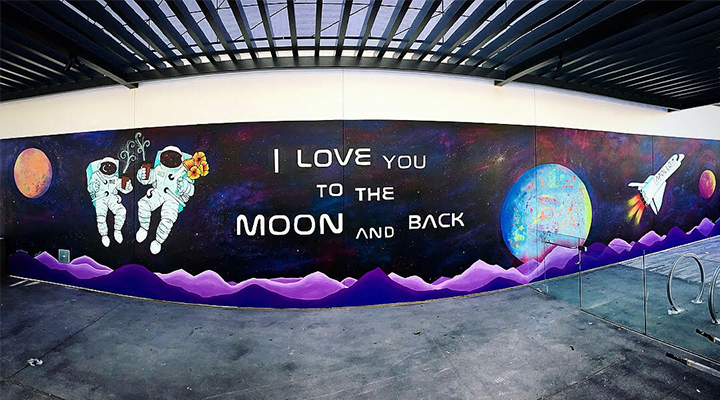 As a muralist, Hakakian’s work is often sought out for Instagram photos, something she says she loves. “It is a humbling experience to have a complete stranger love your artwork so much that they not only want to take a photo, but they also want to share that photo to their network,” says Hakakian.